FMO and DCP jointly acquired a 16% equity stake in Allseeds SA, providing financing to realize Allseeds’ ambitious growth strategy that includes the expansion of its oilseed crushing and transshipment capacities as well as the addition of other value-added processing of vegetable oils and by-products. FMO and DCP will also work with Allseeds to enhance corporate governance and improve Сompany’s environmental and social standards. 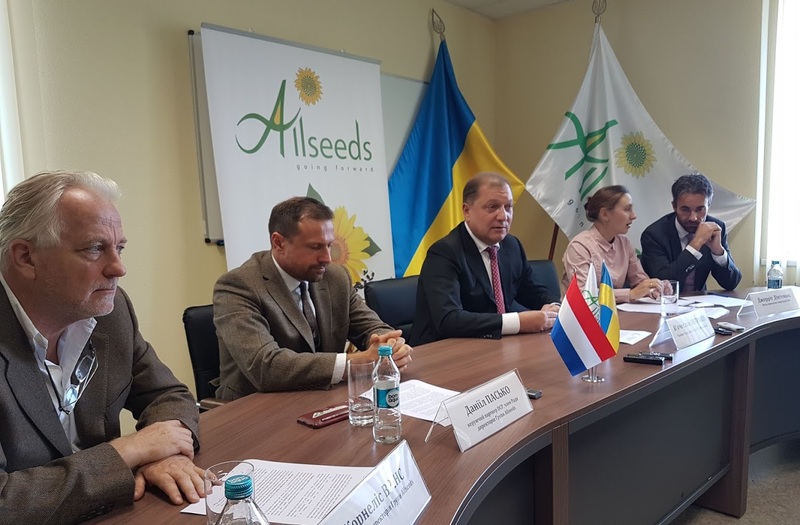 This equity investment will help position Allseeds as a leading agricultural commodities processing and transshipment hub in Yuzhny, Ukraine’s deepest port, increasing the level of in-country value-add of agricultural commodities prior to export and improving links to the largest global markets. Diligent Capital Partners (DCP) is a private equity manager focused on food and agribusiness, export-oriented businesses, and the consumer goods and services industries led by Dan Pasko and Mark Iwashko (www.diligent.capital). DCP led the deal origination and structuring and will be responsible for the management of the investment. Prior to the transaction, DCP worked with Allseeds on establishing its corporate governance system. FMO is the Dutch development bank. As a leading impact investor, FMO supports sustainable private sector growth in developing countries and emerging markets by investing in ambitious projects and entrepreneurs. FMO believes that a strong private sector leads to economic and social development and has a more than 45-year proven track-record of empowering people to employ their skills and improve their quality of life. FMO focuses on three sectors that have high development impact: financial institutions, energy, and agribusiness, food & water. With a committed portfolio of EUR 9.2 billion spanning over 82 countries, FMO is one of the larger bilateral private sector developments banks globally. Allseeds is one of the largest producers and exporters of vegetable oils and meals in Ukraine. The Company operates a leading-edge multi-seeds oilseed processing plant with a capacity of 2400 MT/day for sunflower seeds (1800 MT/day for rapeseeds; 1500 MT/day for soybeans) in Yuzhny, Ukraine’s deepest port. Allseeds also provides transshipment services for vegetable oils and oilseed meals via its own terminals in Yuzhny where vessels with deadweights of over 100 000 MT and drafts of up to 14.6 m can be loaded to serve remote destinations such as China, India, and the Middle East. The Company has a reputation of a reliable and highly professional partner on the global agricultural markets. Due-diligence and deal structuring support was provided by: Avellum, Baker McKenzie, Allen & Overy, Deloitte, Roland Berger and CapEos.